We’ve combined the classic baby shower gift of baby bedding with the relatively new concept of birth statistic announcements into one darling baby blanket. 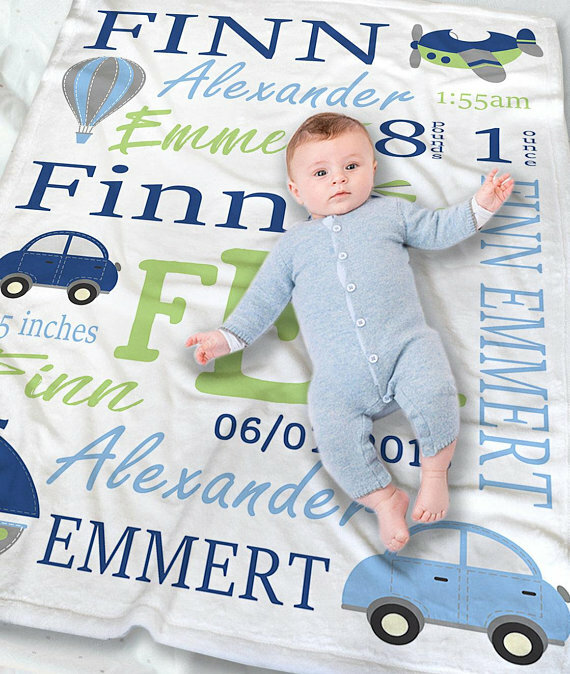 This modern baby blanket captures the sweetest moment of your life with the birth statistics, time, monogram, and name of your bouncing bundle of joy. 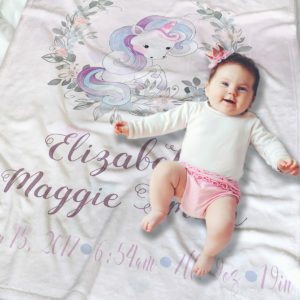 Expertly printed onto exquisitely soft fleece, this baby blanket will offer you a unique way to announce your child to the world while also becoming a cherished childhood heirloom with time. Our baby blankets make the perfect baby shower gifts and are a favorite among new parents. We are passionate about creating one of a kind baby keepsake unique to your little one. I will work with you closely to custom design your blanket helping you every step of the way with choosing the perfect colors, fonts and graphics. Celebrating your new bundle of joy is a special moment and I will be thrilled to be part of it creating the perfect heirloom gift for you to cherish for years to come. 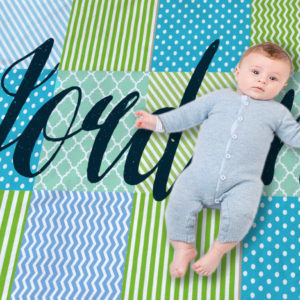 Materials: Our baby blankets are made of soft and snuggly premium fleece and are printed with high quality archival inks making them durable enough to stand the test of time. These blankets are made of very soft and stretchy premium fleece perfect for swaddling your little bundle of joy. They are thin but keep your little one cozy and warm. If you would like to continue to shop for more potential baby shower gifts, alternative birth announcements, or baby crib bedding you may return to our Baby Shop here.